Big Data: that is the large amount of data produced on the Net and characterized, as well as by its quantity, also by the variety and speed with which the variations in values of this information are recorded. “The distance between the Earth and the Moon covered about 1250 times to and fro. This would be, give or take a trip or two, the height of a stack of paper containing all the information published on the Internet every year” as clarified by Stefano Epifani, chairman of the Digital Transformation Institute.Volume, variety and speed, therefore. Characteristics which determine its potentiality on the one hand, but also the complex analysis required to deduce its sense on the other. What do people actually know about Big Data? The Retail Transformation survey, carried out by the Digital Transformation Institute and the CFMT in collaboration with SWG and Assintel, shows how 28% of users has heard of Big Data, but fails to provide a clear definition, while only 15% of interviewees knows exactly what it is and what it represents. 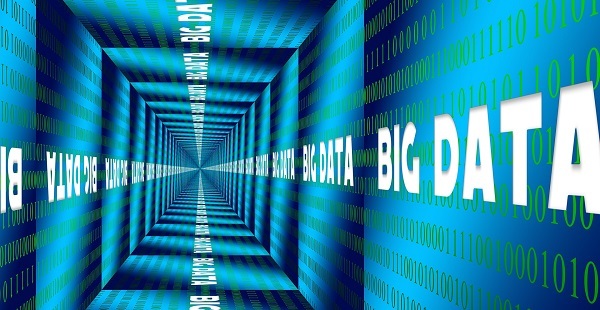 The term Big Data is predominantly and loosely associated with “data analysis” and with a “massive amount of data“, but there are also those who can offer a clear definition: “the set of technologies and methods of analysis of huge quantities of data” or the “intelligent management of many data to predict events and behaviors”. For some, therefore, the purpose of Big Data is service personalization, for others, more concerned, it is synonymous with “our affairs are in the hands of others”. What use is Big Data in our lives? 47% of the users interviewed stated that they received personalized information on their smartphone about products and offers from a store they visited, but where 32% found this service useful, 25% felt uncomfortable, believing that their privacy had been violated, and annoyed due to the absence of human contact and to the time wasted for unsolicited information. 37% of people said they are interested in the service, all things considered, and 70% would find it useful to have an app that lets you know, starting from the photo of a product, which is the nearest store where you can buy it. Finally, 49% of those interviewed expressed their interest in having an app able to create a made-to-measure garment or service based on their lifestyle information gathered through profiling. Users, therefore, show a sincere interest in Big Data applications, yet the offer of personalized and free of charge services in exchange for the transfer of personal data remains an unsolved issue and leads to several contradictory answers. In half of the cases, interviewees prefer to protect their privacy rather than receive discounts, declaring themselves unwilling to give up their data. Do companies use Big Data? In 41% of cases, ICT companies declare that their client companies make no or a very limited use of applications which use Big Data, but they also record the same percentage of companies which use it significantly. However, there is awareness that Big Data is a strategic investment, so much so that digital companies believe that 52% of client companies will develop Big Data-based applications, while only 19% will invest nothing in this technology. With a time frame of more than three years, the ICT companies questioned believe that client companies, albeit with some complexity, will use Big Data, in particular in marketing, communication and customer service (14%), accounting, management control, finance (11%) and in the production of goods and provision of services. Taking as reference a period of one to two years, companies intend to use Big Data for the design, research and development phases (46%) and for personnel and organizational management (35%), as well as for quality control (32%). Extended timeframes and fears aside, the research shows that the great value which data can have, provided they are analyzed and used, is clear to all. After all, the availability of information in real time is one of the pillars of Industry 4.0.